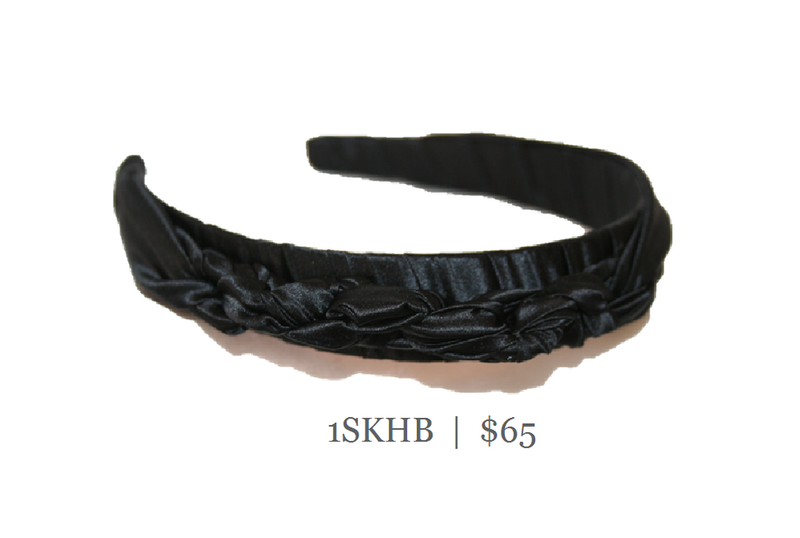 1" silk headband with side knot treatment. The side knotting adds texture and balance. Shown here in azure and black.